POCARI SWEAT is proud to be the official partner of Asian Games 2018! We believe in promoting better health worldwide and supporting sports is one of the activities we do to encourage everyone to get healthier. This year, we hope to ignite your sports passion as well as change the lives of Singapore's youth through sports together with SportCares. Every entry qualifying participation gives you a chance to WIN 1 of 5 SPORT SHOES worth $250. 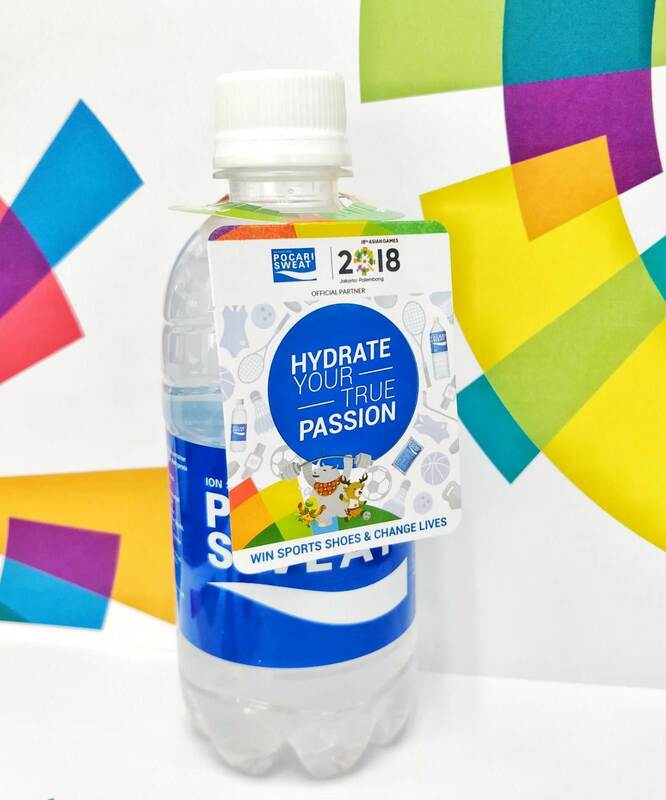 With every WHATSAPP entry, POCARI SWEAT will donate 1 bottle of POCARI SWEAT 500ml to SportCares, a movement that activates sport to make a difference to the lives of the underprivileged, underserved and vulnerable in Singapore. Join us as we go behind the scenes at this year's Asian Games at Jakarta-Palembang through the eyes of 2 young gentlemen from SportCares, Bukhari and Shukri from 23-25 Aug on our Facebook & Instagram so stay tuned!